Though you can’t shake a weird feeling that something’s wrong, you chalk it up to nerves and continue onward. As you resume walking, however, your boot comes down on a nondescript patch of yellow mold growing on the stone. 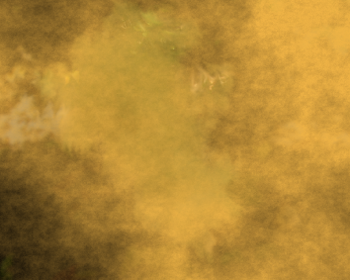 Suddenly there’s a giant whooshing sound, and the air around you explodes into a cloud of yellow spores that seem to be everywhere at once, filling your mouth and nose. The spores cause you to cough and choke, making your eyes water and your arms feel weak. You can continue, but you are sickened by the spores. Write “sickened” on your piece of scratch paper. When the spores settle and you can see again through yellow-tinged tears, you make your way to the crack in the back of the room. There you find that it is indeed a passageway. A flickering light beckons up ahead, accompanied by the rattle of dry bones. To make your way down the passageway, go to Entry #5. You take a –2 penalty on all attack rolls, weapon damage rolls, saving throws, skill checks, and ability checks.